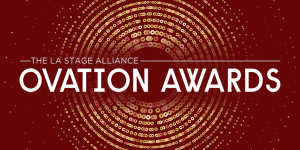 Alexandra Billings has been set to host the 27th Annual LA STAGE Alliance Ovation Awards Ceremony on Tuesday, January 17 at the Ahmanson Theatre at The Music Center. Red carpet arrivals begin at 6pm and the ceremony begins at 7:30pm. Actress, singer, author, teacher, and activist Alexandra Billings stars as Davina on Amazon’s multi-award-winning series Transparent. She played Donna in the ABC film Romy and Michelle: A New Beginning, one of the first times a transgender actress played a transgender character on television. Other TV credits include guest starring appearances on How to Get Away with Murder, Grey’s Anatomy, ER, and Nurses (with Lynn Redgrave). She stars in the upcoming feature film Valley of Bones. Billings has been acting since 1968 and has performed in hundreds of plays and musicals across the United States. Her autobiographical solo show Before I Disappear toured from Chicago to Boston to Los Angeles and then off-Broadway where it received rave reviews and ran for over 10 years. She recently performed her newest solo piece, S/He and Me at Cal State Long Beach. Billings’ activism stretches across the continent. In 2016 she moderated a panel during Transgender Awareness Month at the White House. She has won the TPA Award and the Rainbow Spirit Award and was inducted into the Gay and Lesbian Hall of Fame in Chicago. Living with AIDS since the mid-80s, Billings chronicles her life’s journey in her blog Stilettos and Sneakers, and she is a regular contributor to The Huffington Post. From Schoolboy to Showgirl: The Alexandra Billings Story, aired on PBS and received an Emmy Award nomination for Best Documentary. Los Angeles theatre notables scheduled to be presenters are (in alphabetical order) Luis Alfaro, Michael Arden, Randall Arney, Jon Robin Baitz, EB Brooks, Sara Ryung Clement, Paul Crewes, Dale Dickey, Sheldon Epps, Marilyn Fox, Beth Grant, Elizabeth Harper, Rajiv Joseph, Richard Montoya, Oanh Nguyen, Mitch O’Farrell, Bill Pullman, Diane Rodriguez, Ric Salinas, Del Shores, Herbert Siguenza, Jimmi Simpson, Ali Stroker, and Kitty Swink. All appearances are subject to change. Musical numbers will be presented by DOMA Theatre Company. Sponsors for this year’s Ovation Awards ceremony are Wells Fargo, Walt Disney Imagineering Creative Entertainment, F&D Scene Changes Ltd., UCLA School of Theater, Film & Television, Goldstar, USC School of Dramatic Arts, Ken Werther Publicity, Bakers Man Productions, Time Out Los Angeles, TheaterMania | OvationTix, Performances Magazine, Variety, and Peter Konerko Photography. The Ovation Awards are presented in partnership with the New York Drama Desk Awards. Tags: Aesop in Rancho Cucamonga, Amielynn Abellera, Armando Ortega, Joe Hernandez-Kolski, Justin Huen, Luis Alfaro, MainStreet Theatre Company, Michael Manuel, Premiere, Robert Castro, Tony Sancho. MainStreet Theatre Company has announced the first production of its 2013/2014 season, Aesop in Rancho Cucamonga, a world premiere play by Luis Alfaro and directed by Robert Castro. Now in its eighth season, MainStreet Theatre Company commissioned this adaptation of Aesop’s Fables with a generous grant from the James Irvine Foundation. The production, which is also supported in part by a grant from the National Endowment for the Arts, will play two school performances on October 25 and open to the public on Saturday, October 26 at 4pm. The strictly limited engagement will run through Sunday, November 10 only. MainStreet’s first-ever world premiere, Aesop in Rancho Cucamonga is the tale of a California bear cub that wanders down from the foothills, gets lost in Victoria Gardens, and has to find her way back home. Away from her clan, she begins her journey and along the way she meets ants, lizards, and a cactus who tell her stories (Aesop’s Fables, adapted). During the cub’s extraordinary adventure, valuable life lessons are learned, not the least of which is the importance of family and community. Entertainment for the entire family, ages five and up. The cast of Aesop in Rancho Cucamonga will feature (in alphabetical order) Amielynn Abellera, Joe Hernandez-Kolski, Justin Huen, Michael Manuel, Armando Ortega, and Tony Sancho. Scenic design is by Francois-Pierre Couture, lighting design is by Ben Zamora, costume design is by Raquel Barreto, sound design and original music is by John Zalewski, and Mary Michele Miner is production stage manager. Mireya (Murry) Hepner serves as producer for the City of Rancho Cucamonga’s MainStreet Theatre Company. Playwright Luis Alfaro was born and raised in downtown Los Angeles, and he is a multi‐ award-winning Chicano writer/performer known for his work in poetry, theatre, short stories, performance, and journalism. Alfaro is the recipient of a MacArthur Foundation Genius Grant, and is the 2013 Joyce Foundation Fellow. He is the first Playwright‐in‐Residence in the 80 year history of the Oregon Shakespeare Festival, the largest repertory theatre in the United States. Alfaro’s plays have been produced at regional theatres throughout the U.S. and Europe. Director Robert Castro is known for his stylized movement and highly visual approach, and is returning to direct his sixth production for MainStreet. Castro’s work has been mounted at some of the premiere regional theatres and performance schools in the nation, including the Santa Fe Opera, the Mark Taper Forum, and the La Jolla Playhouse. His distinctive interpretations of classic children’s stories for MainStreet include Dreams of Anne Frank, Ferdinand the Bull, Treasure Island, A Wrinkle in Time and Aladdin’s Luck. Aesop in Rancho Cucamonga will reunite Castro with Alfaro, two unique artists who last worked together at the La Jolla Playhouse in 2002. The MainStreet Theatre Company produces creative, imaginative, high quality theatre productions especially for children and family audiences, usually based on contemporary or classic children’s literature. It is the resident professional theatre company at the Lewis Family Playhouse, an intimate 536-seat venue which is located in the 89,000-square-foot Victoria Gardens Cultural Center. The complex is located off the I‐15 at Foothill Boulevard, at 12505 Cultural Center Drive in Rancho Cucamonga. Aesop in Rancho Cucamonga will play performances on weekends for family audiences (Saturdays at 1pm and 4pm and Sundays at 1pm, except for opening weekend when there is only one performance on Saturday, October 26 at 4pm), and on weekday mornings for school groups, through November 10. Supported by the Rancho Cucamonga Community and Arts Foundation, the opening performance on October 26 at 4pm is “Foundation Family Saturday,” and all tickets are $9.50. An Opening Night Party Package is available for $20, which includes a ticket to the show and the post-performance party. For regular performances, tickets are $18 for adults and $16 for children (age 12 and under), and for seniors (age 60 and up). New this season are the Foundation Family Flex Packs — tickets are $12 each if purchased in packs of four or more for the same performance. To purchase tickets, call (909) 477-2752 or go to www.LewisFamilyPlayhouse.com. The box office at the Lewis Family Playhouse is open Monday through Friday from noon to 6pm and Saturday from 10am to 6pm. Free parking is available.